Today I'm sharing a massive haul with you featuring some spring pieces I added to my wardrobe. As you'll be able to tell from this, I'm super excited for spring. In case you're curios what I purchased, please watch the video and let me know which your favourite item is! Interesting post. Love your videos. Love dresses and charming coat! Wow, I love all of the things you got!! Definitely made me want to shop asap haha. Ooh I love them all! But I really love the jumpsuit. What a great haul! Loved the video! I have a top similar to the black bell sleeved one and yours looks amazing on you! What a fun haul. Love the faux fur vest! Love that mesh polka dot dress! Yesss girl! 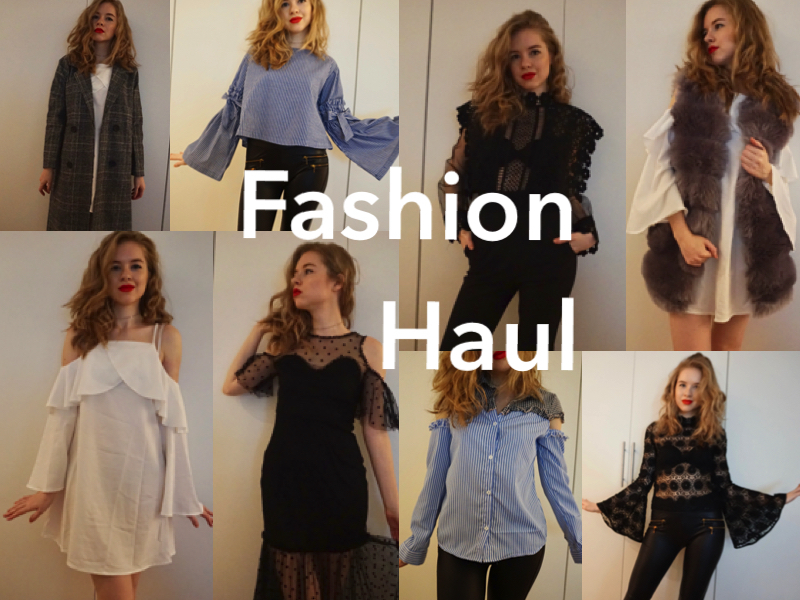 I always love watching fashion hauls and try ons :) Looks like you got so many great pieces! Ah, totally with you on looking forward to Spring - so many fabulous styling options coming up! The black lace top featuring bell sleeves is SO gorgeous.